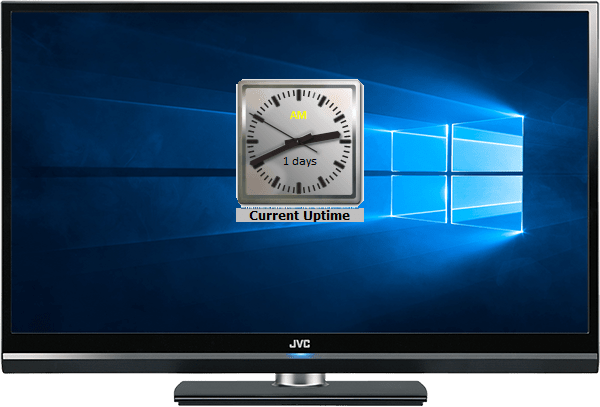 ﻿ System uptime Windows 10/8.1/7 Desktop Sidebar Gadgets. All free. 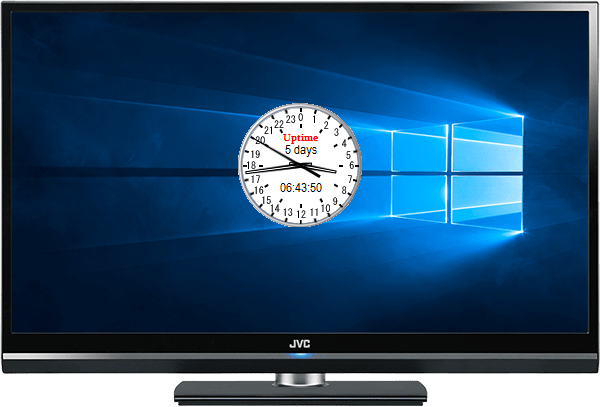 System Uptime Full Plus is a Windows 10 Gadget that displays the system uptime from the time of system installation, current uptime and uptime of the last time the system was used. Uptime is important ant often used as a measure of computer operating system reliability or stability. Support 19 different languages. 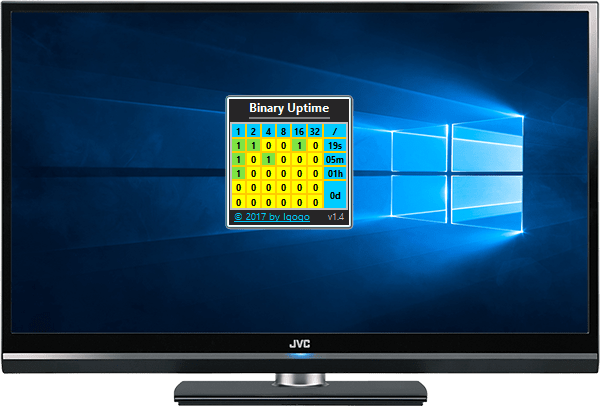 Binary Uptime is a neat and innovative Windows 10 Gadget that shows you the system uptime in binary notation. The few real binary lovers are should be very pleased with what Binary Uptime has to offer. Gadget is easy and full customized. Uptime is refers to the time during which a system is working without failure and has had zero downtime. 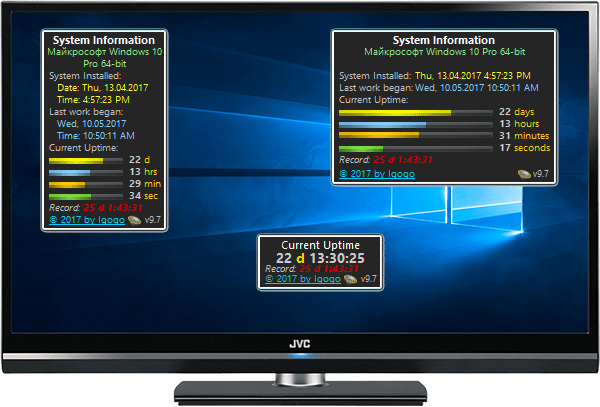 Try our System Uptime II Windows 10 Gadget for know this time. The gadget is a 24-hour analog clock. System Uptime III is Windows 10 Gadget that displays how much time has passed since you last restart your computer. The gadget uses three different 12-hours analog clocks for show this time.